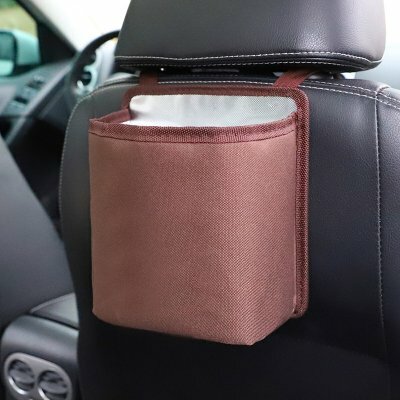 Successfully Added Brown Storage Pouch Seat Back Pocket to your Shopping Cart. Eco-friendly aluminum film, PP, oxford cloth material, non-toxic, no smell, with high strength for use. With the size of 18*20*11CM, please note the size is suitable for your car seat. Perfect to placed on a car, used to receive peel, wastepaper, etc. Convenient to use and save space.